Helping all students become shining stars! Here at Leverett Elementary school, we have a team of three highly experienced special educators. This team is divided up to provide support services to all eligible students in the building. Student support service providers work closely with the regular education teachers to assist students with learning challenges, attentional struggles, emotional regulation, behavioral needs, socio-emotional weaknesses, as well as, other areas that require support for a student to access the general education curriculum and environment successfully. Such supports that may be provided include direct instruction in reading, writing and math and how those skills impact other content areas. Students requiring sensory breaks or behavior intervention are also part of the supports provided. Many in-class accommodations and supports are done through the student support program as well. There is an extensive state mandated process that has to be completed in order for a child to be referred, evaluated, and found eligible for receiving support services. This process can be found via the helpful link to the special education process found on this page. Although specific students are assigned to this team of individuals for support, according to an individual education program, in many ways this team offers assistance to the regular education classroom informally for observations, recommendations, diagnostic instruction and informal interventions prior to any student being referred. It can be challenging and difficult for families to know how to help a child with a disability but there is great information available on the internet, through reading materials, and in support groups. This page offers a list of links and materials that will provide you with some tips and helpful strategies to use at home. An instructional intervention is a specific program or set of steps to help a child improve in an area of need. Instructional interventions focus on subjects like reading, writing or math. 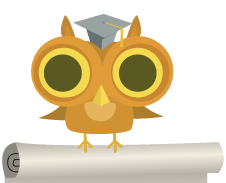 Interventions are designed so that you and the school can track your child’s progress. An accommodation allows students to participate in the general education setting by adjusting components such as: Presentation Style, Response Modes, Setting, Timing, Scheduling and Organization. A modification allows students to participate in the general curriculum by changing such components as assignments and curriculum.